Love Jesus. Make Friends. Be Kind. We believe that kids will develop meaningful relationships with God, Jesus and the Holy Spirit. That they will accept Him as their king, trusting him with all their heart and experience his presence in a tangible and personal way. We aim to help kids make great friends in church and see families connected into community. We believe that the starting point of showing love for others is showing great, brave kindness. We want every child to encounter Jesus and his power and we thrive in seeing whole households excited to gather in God's house every week. Jesus is the light of the world and he has placed that same light in us to shine towards others. Our kids will be learning about the love of our Good Father and how we can trust him to overcome our fears. Kids will learn what it means to shine their light and how the Holy Spirit helps them to do this. Check in opens 45 minutes prior to the start of each conference session so you can drop off your child, grab a coffee and find your seat with time to spare! We are excited to host your kids this year at Presence Kids! 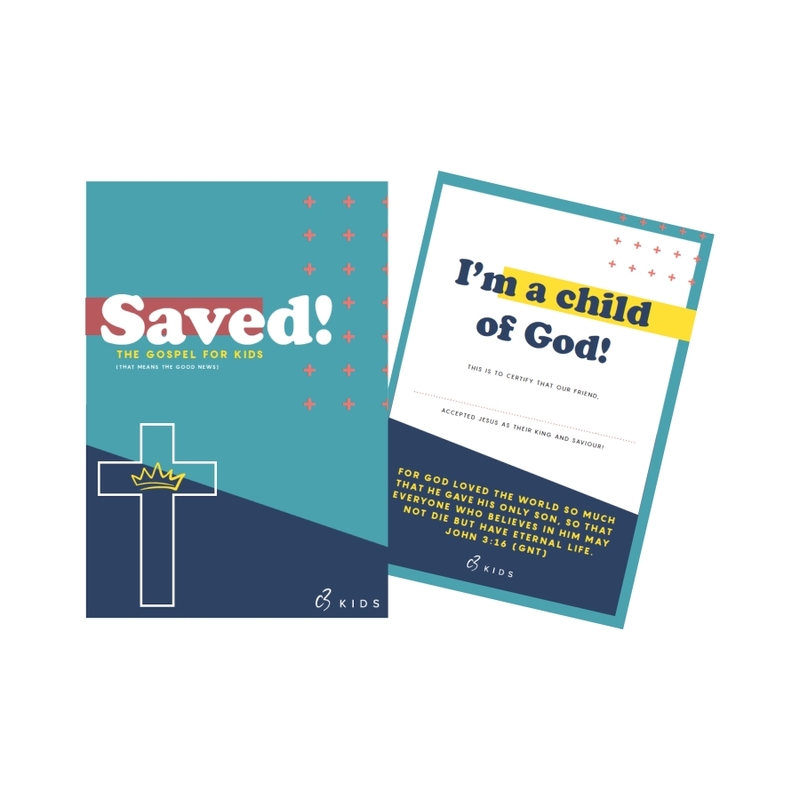 We are excited to share with you, our salvation resource for kids! 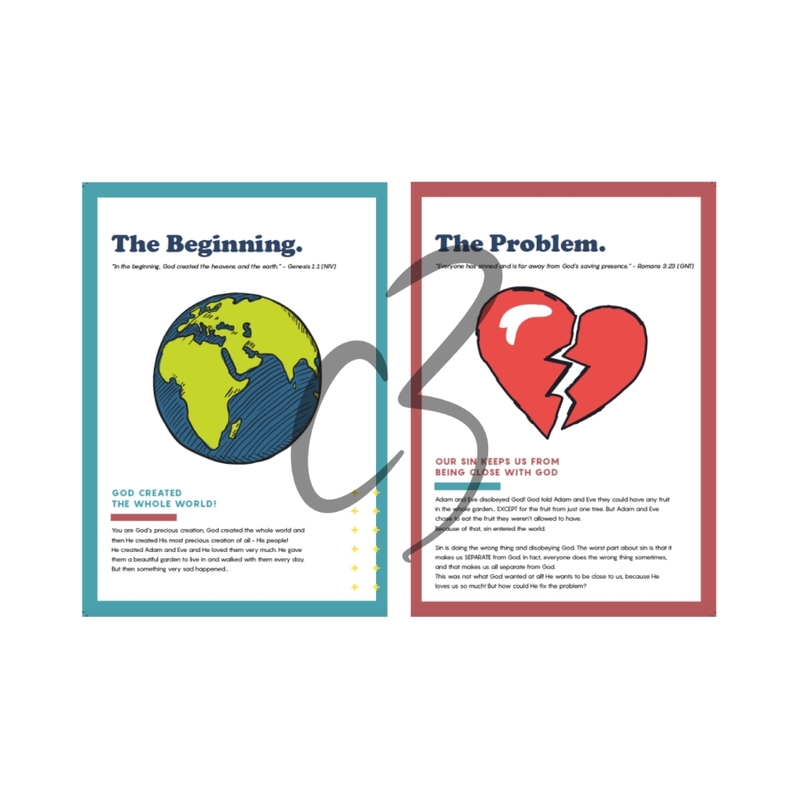 The A4 magazine style booklet includes a salvation certificate insert and explains the story of salvation. It also details how we can be saved and how we can spend time with God. Full of simple truths and fun illustrations, this six page story will help your kids learn more about what it means to say yes to Jesus! 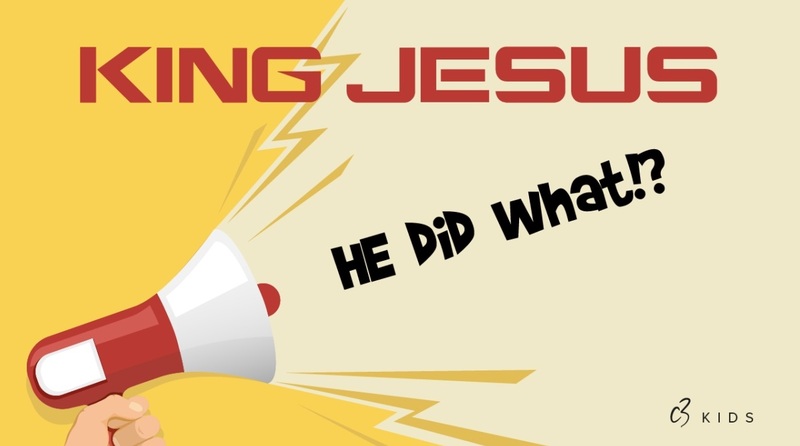 We are so excited for our brand new program, 'King Jesus!' This program explores everything that Jesus did in the Gospels. From the beginning of His ministry, to the calling of the disciples, His performance of the first miracle and all the way up to His resurrection! Our heart is that over this series, kids will learn who Jesus is and who He is to them in a personal way. Each week, we will be focusing on a different story about how Jesus showed Himself as the light to the world and as our good, powerful and loving King. We'd also love to let you know that at C3 Kids Sydney, our vision is that every child would 'Love Jesus, make friends and be kind.' As we go through our programs with kids, we ensure that each part of our service is directed to help kids in these three areas as they unfold their faith in God. 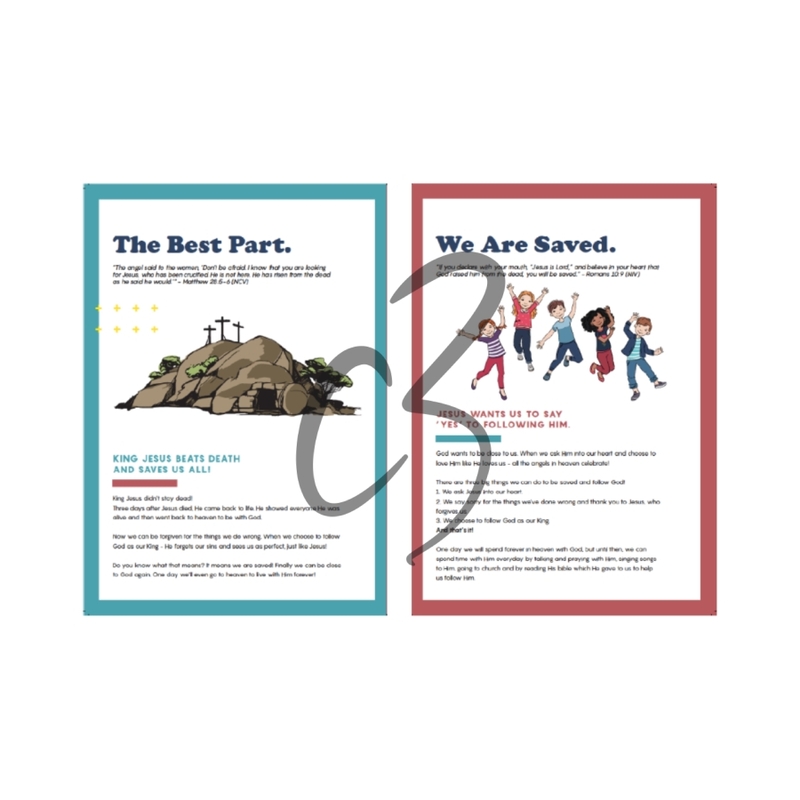 We want to bless churches and communities with our C3 Kids Resource that is available for your use. Click on our past programs for more information and subscribe to receive all future programs below! We were designed to be in relationship with others and connect groups are the best way to do this! Connect Groups exist to bring people together. The greatest of friendships are formed when we commit to meeting regularly to encourage and build up one another. We have family connect groups that gather every week across all our locations, you are sure to find one that suits you. "My family and I recently arrived in Australia from South Africa in need of community for ourselves and our daughter, a place to put down our roots and a place to call home. We are firm believers that God provides friends who are like family and we found these people in our families connect group. It is a safe space to be raw, real and vulnerable. This authentic community has become integral in building our lives here and we always know we have a place to go where we will be welcomed with love and prayer, a place to give and receive and do life together." C3 Church is committed to providing a child-safe and child-friendly environment for all who attend our services and mid-week meetings. We aim to ensure that children, families and staff have a safe and fun place to engage in Godly and meaningful relationships, receive and provide ministry and grow in their walk with Jesus. The C3 Child Safe framework has been set in place to safeguard under 18’s in attendance, as well as those who provide leadership and those who serve on teams.